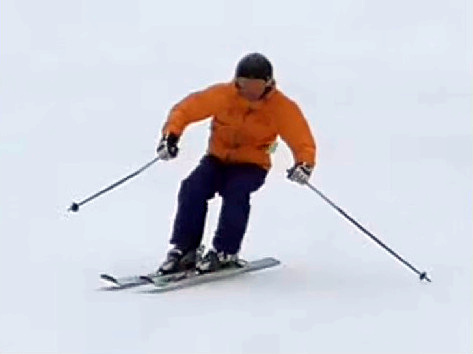 In high performance skiing, there is a state of "floating" between turns. The energies from the turn can be harnessed to create a state of weightlessness, where there isn't much pressure on the skis, even though they are in contact with the snow. For what we call floating to occur, only the energies from the turn are used with a Flexed release and no pushing up (or "hop") at the end of the turn - the turn energy is absorbed and used effectively, without disturbing the upper body. So, be careful to **distinguish between hopping and floating **! Floating has many benefits: floating makes it easy to pull the boots back and recenter, rather than push the hips forward. Also, because the skis are unweighted, it is much easier to tip them early. While you may be tempted to think those are regular "popping" up releases, look again: in each turn, the outside leg gets short and her hips never cross what you would call a "seated" position, both clear signs of a Flexed release. 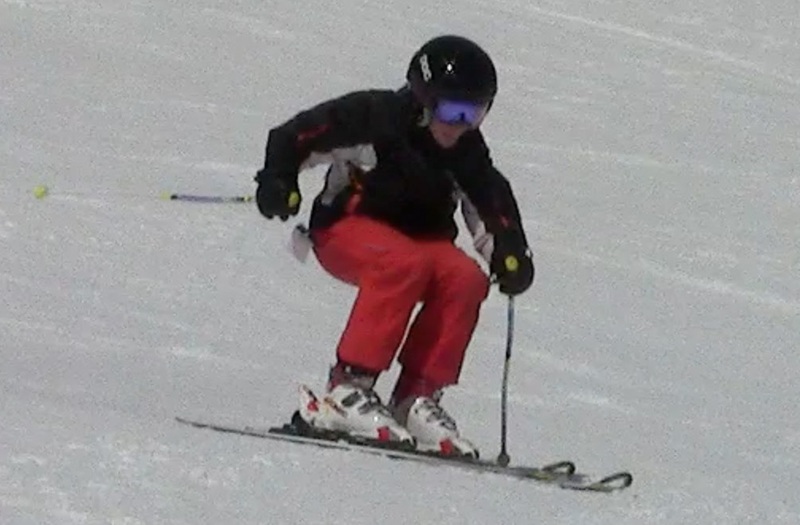 When you can regularly achieve a state of floating with flexed release that's another sign of expert skiing. The release or rather the finish of the previous turn needs to set everything in motion for the next turn: the legs are retracting and tipping, the upper body is impulsed down and sideways and then we're floating. Yay! While floating though, we're not maintaining some position: the body reorganizes itself, for the next turn. The feet keep tipping and crossing under the body, the legs are flexing and extending as needed and the upper body continues to move to get in position for the next apex / pressure phase. The only sources of movement while floating are the impulses stolen from the previous turn and leveraging the body's segments against each-other. These will become the focus towards the highest levels of skiing. Viewed 1661 times ( | Print ) this page.